“There is no such thing as a failed relationship!" These are just a couple of the radical concepts that are shared, experienced, and most importantly, practiced here at Lease On Love. Lease On Love is a place we created to support and mentor others in rediscovering the true nature and purpose of love and relationships in their own lives, and to learn and practice what we call "Relationship Creation." Welcome to an environment where you can come to explore a new paradigm that begins with..."there is no such thing as a failed relationship." We have just been calling them "failed" because of the method we use to measure them...time! We will also introduce you to new tools and strategies for relationships, like our Lease Option Contract for love. We created our Lease Option Contract in a moment of desperation and frustration early on in our own relationship. We were struggling with how to take our love to the next level and grow our committed relationship, and as you can guess, found nothing. Nothing that would help us overcome our fears of choosing wrong again, and keep the passion and joy that brought us together alive and thriving in our relationship, so we created it. The ultimate outcome for us was holy matrimony (not sure how holy...let’s just say a great success) and it has now done the same for many others. Our Lease Option Contract for love has proven to be a must have tool for creating, building, and evaluating relationships just like yours. For example...If your struggling with the decision of whether to stay or go in your current relationship, or perhaps your wondering how to get back into finding and creating relationships after a break up or divorce, or even if you have found someone and you desire to grow your relationship on a healthy loving foundation to keep the love alive like we did, the Lease Option Contract is absolutely for you. Our love story demonstrates and shines as a beacon in the darkness, evidencing that love and true connection can be experienced by everybody. Not just the by the "lucky" ones. because, truth is, if we can pull this off, so can you.! Together, our resume of experiences encompasses almost everything imaginable in the realm of love and life. We know what it is like to experience Death of family members, long term marriages, teenage pregnancy, disappointing relationships, heartbreak, bi-racial relationships, divorce, domestic violence, single parenting, step-parenting, addiction, mental illness, and kids... yes…lots and lots of kids. Our family currently consists of 8 children and 11 grandchildren and counting! So come share with us what is going on in your love life today. Together, we will discover some beautiful lessons that only love can teach us. Things like how to allow your past experiences for love empower you instead of diminish you. Essentially, how to love more, and fear less. It is time for you to embrace new possibilities for passion and joy by expanding your capacity to love yourself and others. Regardless of where you might find yourself in this moment, know that we are sending extraordinary love today, along with the power to create it in your own relationships. Interested in Tom & Staci speaking at your event? From humble beginnings, Staci began her journey into relationship development as a 17-year-old mother. Married and divorced before the age of 19, she beat the odds by finishing high school and attending college. Staci is the co-creator of Lease On Love and currently works as a relationship mediator and developer. She is a mother of six children, step-mother of two, and grandmother to 11 grandchildren...and counting! Through it all, Staci never gave up the desire to love again. So while raising children on her own and running businesses, she did some dating and had her heart broken a few times. Experience is always the best teacher. Through each of her subsequent relationships, Staci learned lessons that she was able to test in the real world. And, guess what? She has now created the magical relationship she had always dreamed of, and has never been happier in love. What took Staci 15 years to learn, she can now share with you in four easy steps. These steps consist of a combination of tools that help you create a foundation of alignment in your relationship so it is built to last. As a mediator, coach, and facilitator of relationships of all types, Staci has also created and implemented a couples recommitment program utilizing the components of Lease On Love. This program is an alternative for couples contemplating divorce and is now being used by divorce mediators. In addition to working and studying in the field of relationships since 1995, Staci has owned and operated small businesses around the areas of health and wellness. She is known for her ability to get to the heart of the matter quickly and to promote the safety and support to move through conflict easily. Her passion is sharing her life lessons and speaking with groups of all types, especially teenage mothers. Through volunteer opportunities, she helps inspire teen moms to rise above their challenges and pursue their dreams. 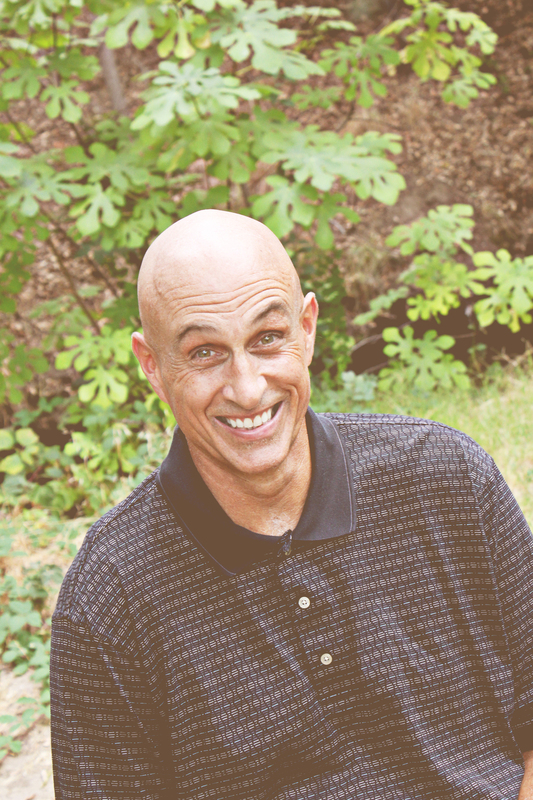 Tom, in addition to co-creating Lease On Love with Staci, has worked as a Real Estate Appraiser for the last 17 years. His nicknames with close friends and family are Swami and Gandhi because of his innate ability to compassionately listen, share wisdom, and inspire change in others. Tom’s character of inner strength, ability to connect deeply, and giving personality changes the lives of people all around him. Tom’s philosophy is to live by demonstration not verbalization. He has been a relationship builder all of his life, and is now contributing his talent and insight to the world. Father of two and step-father to six, Tom loves the outdoors, wine country, acknowledges and honors all of mankind, and is madly in love with Staci. Between Tom and Staci, they have lived, or are living most of life’s ups and downs. They are now very excited to share the lessons of their 35 years of relationship experiences, and are committed to inspiring others to take bold action towards creating "toe tingling" and extraordinary relationships. Brooke considers herself to be the perfect blend between creative spirit and techie nerd. Brooke has always been very interested in the field of personal growth and self-help. She herself discovered the magic of the workshop environment at the young age of 17, while attending a week-long program with her dad, Tom (yes, the Tom above). That program opened her eyes to the beauty of bonding with like-minded people, deep conversations, and connecting intensely. To this day, she calls those things her "hobbies." Brooke also loves spending time with her family, reading, drinking wine with her best friends, spending time online, laughing so hard her cheeks hurt, and staying up too late. After discovering that the paralegal career route was not one that made her heart sing, Tom and Staci presented Brooke with a very unique opportunity to join their team and help make Lease On Love sing. This experience has been full of hard work, magical collaboration, and unimaginable synchronicity. Brooke believes Lease On Love is the relationship support system everyone has been looking for but hasn't been able to find...until now. She looks forward to connecting with you all and helping you through your Lease On Love journey.